Q. How can I find a specific journal, periodical, or newspaper? 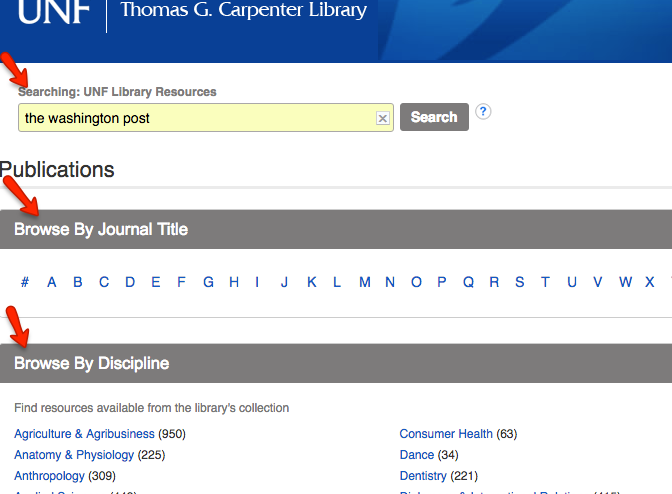 Next, either type in the title of the publication, browse the A-Z list, or browse by subject for the appropriate title. Lastly, Choose your journal, and search within. Many times, there will be multiple ways of accessing a journal or periodical. Therefore, when one is searching, make sure to look at the years of coverage of the journal/periodical. To Search another way, look in OneSearch, for example, Teaching Children Mathematics. In the OneSearch box (on the library homepage, type "Teaching Children Mathematics" with the quotation marks and hit enter. 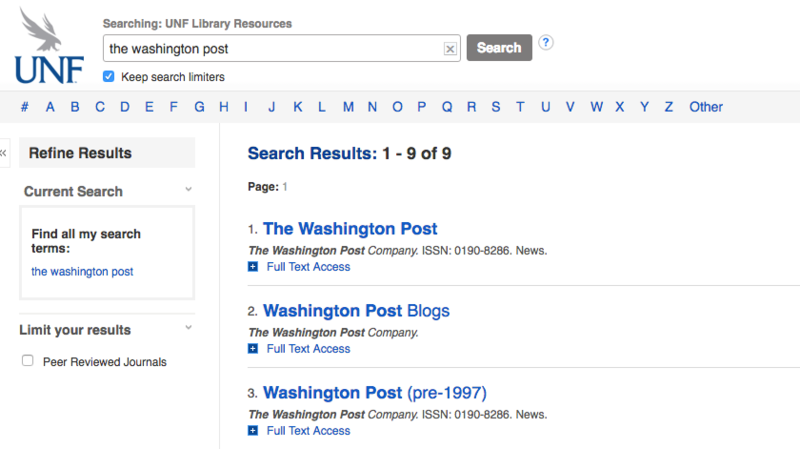 On the search result screen, click Advanced Search. Now change the dropdown next to the title from Select a Field (optional) to SO Journal Title/Source and hit Search again. This will limit your results to articles from the journal "Teaching Children Mathematics." You can then limit to peer-reviewed or by date, etc. if needed. Tip: If you are off campus, make sure to log into the library (via My Account in the grey bar) to access full text.